With 2 entire rows of monster-sized cucumbers to contend with, rather than my original plan for pickles, I used a good portion of them to make several pints of dill pickle relish using home-grown cucumbers, onions, dill and dill seeds. A couple of jalapeño peppers added the mildest hint of warmth to an overall dill pickle relish flavor. There is something so satisfying about taking a few seeds and turning them into a pantry full of delicious foods for the year ahead! The relish came out wonderfully, and I love that the bulk of it came straight from our little garden. I saved a lot of time by finally buying myself a mandolin – I’m now wondering why on earth I waited this long. If you don’t have a mandolin, you can chop everything by hand or pulse it in a food processor. 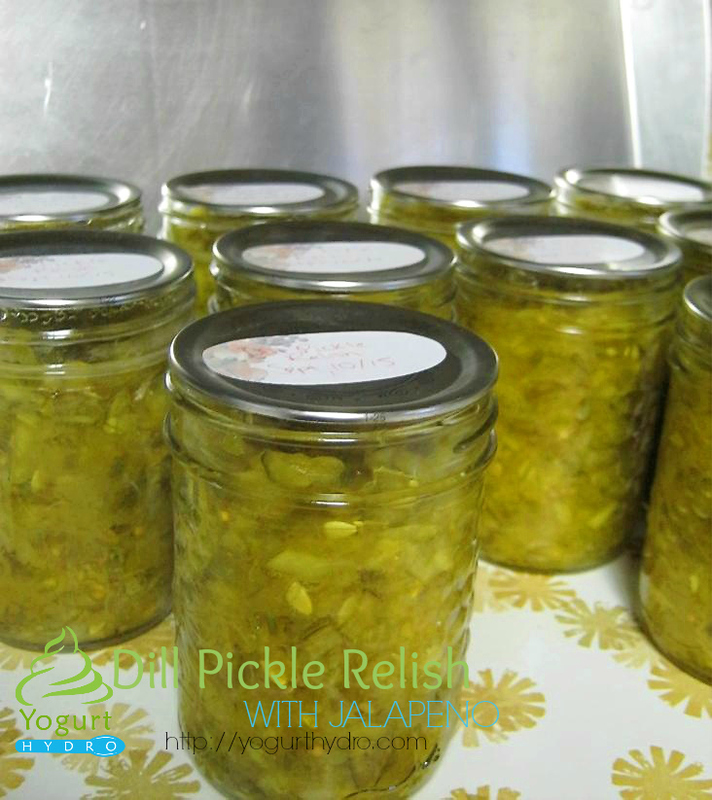 This is a fantastic way to use up your excess garden cucumbers, but if you are without a garden, you can definitely use store bought to make this relish. 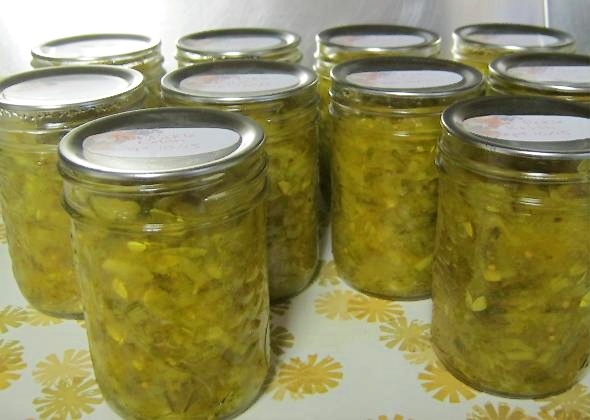 If you love relish, making your own is very cost efficient, not at all difficult and decidedly delicious. In a large bowl, combine cucumbers, sea salt, and turmeric with water. Soak for 2 hours. Drain (without squeezing excess moisture), rinse cucumber mixture and add to a large pot. Use a ladle and canning funnel to fill prepared canning jars to within 1/2″ headspace. Remove air bubbles, wipe rims and top to proper headspace if necessary. Add lids and process for 10 minutes. If you are new to canning, full step by step water bath canning instructions can be found here: Water Bath Canning Basics for Beginners. Did you grow cucumbers this year? How did you preserve them?